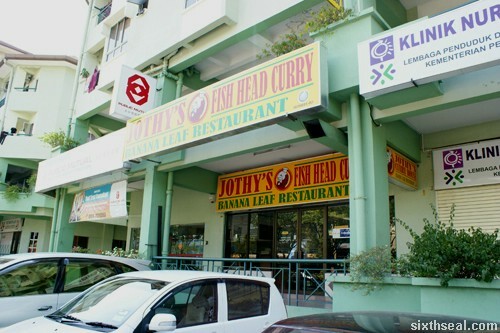 Jothy’s Fish Head Curry Banana Leaf Restaurant is located in Api Api Center in KK, Sabah and has a lot of impressive stickers on its front window facade, including one that says “as seen in Lonely Planet”, which was the reason we headed there to eat in the first place. 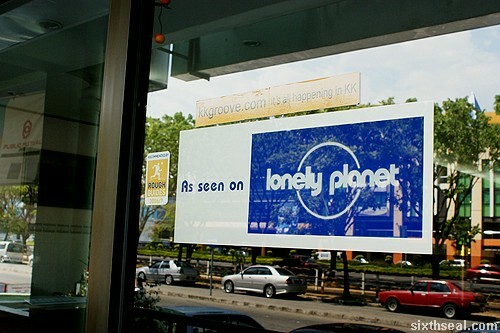 I place a certain amount of trust in the Lonely Planet brand. 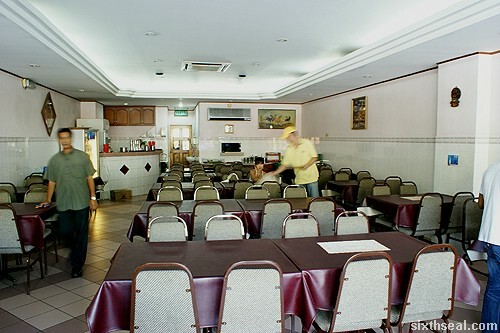 The first clue that it might not exactly be the best place to eat when we walked in is the underwhelming crowd in the restaurant. We were the only ones there. I swear I could hear crickets chirping. 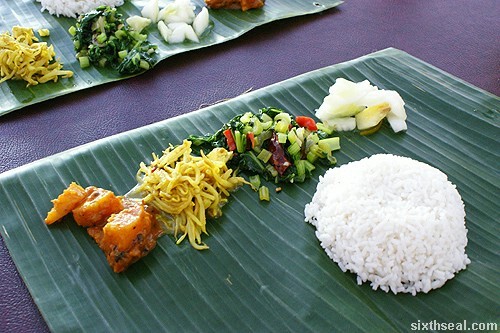 …but the taste did not live up to expectations. I tried every single one of the side serves and found them severely wanting. 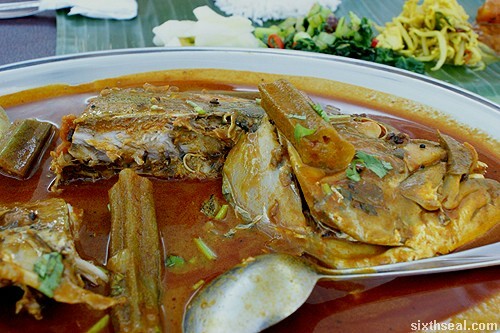 Their flagship signature dish – the curry fish head – was tough, overcooked and dry. 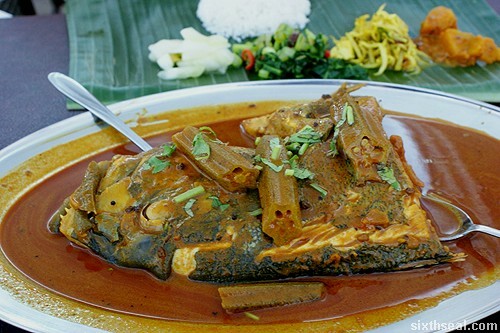 It’s certainly not “the freshest fish head from the market”. I don’t know what kind of fish this head came from but finding meat is like looking for a needle in a haystack (or insert other cliched analogy here since there are a lot of fish bones in there). 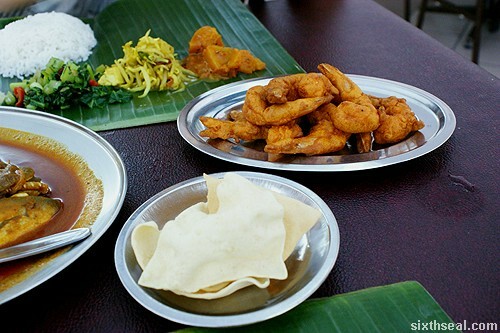 The fried prawns were not “succulent” as the menu claimed, but tough. I’m also highly doubtful about the “choice fish eggs fried to perfection” description as our fish roe had the same taste and texture of cardboard (not that I’ve ever eaten cardboard – it’s what I imagine cardboard would taste like). I find this unforgivable in a place known for it’s abundance of seafood. 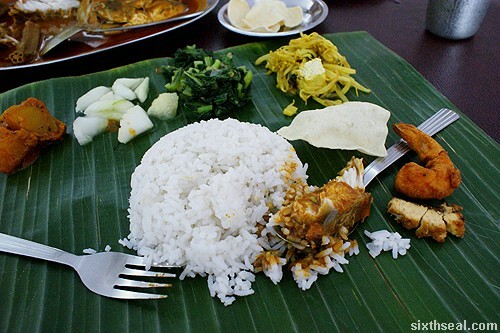 The bill was exorbitant too – the fish head curry alone was RM 50. It’s a tourist trap. Avoid it like a bad case of herpes.